Has Ireland Missed the Last Opportunity to Remember Her American Civil War Dead? Last year we had an appeal on the site asking readers to consider proposing Irish involvement in the American Civil War as an appropriate topic to be covered in An Post’s (the Irish postal service) 2015 stamp programme. A number of you did so. An Post were in touch last week to say that the suggestion is not one that will be recognised. This is disappointing given that two of the criteria for selection are ‘anniversaries and commemorations of national and international importance’ and ‘contributions by Irish people to international affairs’ (see full list here). 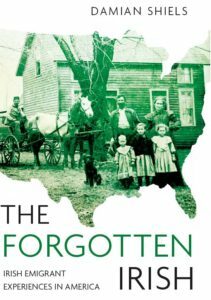 I have written many times on this site about how I feel Ireland is largely ignoring the history of her emigrants, as typified by the lack of interest and recognition in the American Civil War. I am not going to go over those arguments again (if you are interested, they can be found here and here), but I must admit to becoming somewhat despondent about the continued neglect of this area, particularly given the failure of previous efforts to see it recognised. A number of years ago, before the 150th anniversary commemorations of the American Civil War commenced, I wrote directly to the Arts & Culture spokespersons of all Ireland’s political parties. Highlighting the scale of Irish involvement, I suggested they might look into the potential of making the flag of the 69th New York Infantry more accessible to the public for the duration of the sesquicentennial. The flag, presented to the people of Ireland by President Kennedy in 1963, is currently held in the Irish parliament where it’s viewing is restricted. I received only one response, and nothing came of the suggestion. With the advent of the sesquicentennial I attempted to interest some of the national media in the huge Irish involvement in the events of 1861-65. Again no response could be garnered from newspapers such as The Irish Times and Irish Independent, although the Irish Examiner did run a piece on the Irish at Gettysburg last year, one of only a tiny number on the Irish in the American Civil War in the last three years. Another rare exception is thejournal.ie, which has carried two pieces (here and here) and RTE Radio 1’s History Show, which has covered a number of topics relating to Irish involvement. In general though, the lack of interest has been stark. With the publication of my book on the Irish in the American Civil War in early 2013 I wrote to President Higgins, of whom I am a great admirer, to highlight the scale of Irish involvement and pass along a copy of the book. I had hoped it might provide a spark leading to some recognition of the Irish experience, but to date this has not proved to be the case. I still believe that the main reason for a failure of Irish people to engage with this history results from a lack of knowledge regarding the true impact of this conflict on Irish emigrants. I know of no clearer example of this than the speech delivered by President Higgins at Faneuil Hall in Boston on 5th May 2012 to mark that year’s Famine Commemoration. Entitled ‘Reflecting on the Gorta Mór: the Great Famine of Ireland, Some narratives, their lessons and their legacy’. 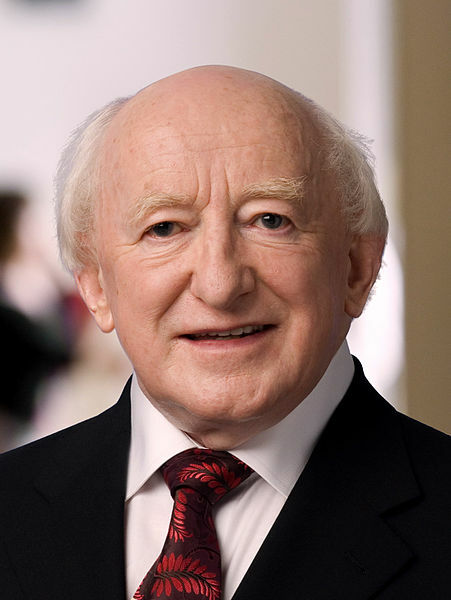 The President noted ‘That we are here today, of course, I remind myself, not only to commemorate the victims of the Great Irish Famine but also to celebrate the lives that those who emigrated, forged in this city from adversity, and their achievements in creating the enduring links between our two countries which live on today.’ The speech goes on to describe the experience of the Irish in Boston after their emigration, but throughout the extensive talk not even a passing reference was made to the American Civil War, a conflict in which thousands of Irish Famine emigrants who lived in Boston fought. This omission was all the more stark as Faneuil Hall itself witnessed large Irish meetings to support the war effort- indeed the venue where the President spoke had been used as a temporary barracks by the Irish 9th Massachusetts Infantry in 1861. A little more than a month after President Higgins spoke at Faneuil Hall marked the 150th anniversary of the Battle of Gaines’ Mill, where the 9th Massachusetts suffered higher casualties than any other Union regiment- many of those who fell were Famine emigrants. The failure of the State to engage with Irish participation in the American Civil War has had a major influence on the lack of activity surrounding this history in Ireland. However we may like to think otherwise, State funding plays a large role in driving historical engagement and even historical study- this can be seen with Ireland’s Decade of Centenaries, with many conferences and other events receiving financial assistance and support from Government. This failure in engagement has further repercussions; despite the fact that the American Civil War saw more Irishmen in uniform than any other conflict barring World War One, virtually no historians in Ireland study it. Although a number of U.S. historians work in this area, there remains a wealth of virtually untapped research potential (as evidenced by the ease with which the research that drives this blog can be carried out). The correspondence from An Post was just the latest in a long line of disappointments with regard to recognition and engagement with this aspect of our history. The sesquicentennial of the American Civil War is beginning to wind down and all eyes are now on the anniversaries of World War One and the 1916 Rising. It seems that the opportunity for Ireland to do something to remember and examine the 170,000 Irish who fought and the hundreds of thousands more who were impacted by the American Civil War has passed. That in itself tells its own story about how Ireland engages with the history of its diaspora. I think this is typical of politians and buracrats. They rush to back something there is political milage in, you will see them falling overthemselves between now and 2023, to be part of the various anniversaries. As we both know 150,000 Irish served in the United States Army and nearly 40,000 in the Confederate Army, far more than served in anyother conflict. What they did overshadows a lot of what will be remembered in the coming years. All we can do is keep on marching and bringing what they did to the attention of people in these islands and putting it on record for generations to come. I am at present working on a dictionary of Irish involvment in the Civil War. Hopefully one day there will be a monument to them in this island recognising the part played by both traditions in the American Civil War At least these mens service has not gone unoticed in the U.S.A. If I can be of any help here in Northern Ireland just give me a shout. There seems to be a good deal of apathy on both sides. Most modern Americans here would agree with the apparent underlying presumption of the modern Irish, that once folks immigrated, they were instantly American by simply setting foot on shore. There is and has always been a great disdain for “hyphenated Americans” here amongst the WASP establishment. Some Americans seem to be interested, but I think this is not so dissimilar from an individual adoptee’s abandonment issues, just writ large. One has to wonder how much of the apathy is a general disinterest in history as dull and irrelevant, and how much it is an unwillingness to examine and be forced to recognize and empathize with the terrible wrenching grief that was immigration, and then death that came to so many of the combatants. Maybe the way to get recognition is through the art community and not the government? But you’ve probably already done that. If it makes you feel any better, Indiana seems to be doing nothing to commemorate the War of 1812, even though it played a pivotal, if frontier, role in the war. It’s such a missed teaching opportunity. Speaking of the president’s remarks- many new Irish immigrants died in yellow fever outbreaks along the Mississippi ,1878. [The American Plague, Crosby] Though I suppose they weren’t exactly Famine immigrants (is there a date range that historians generally accept to call someone a Famine immigrant?) that book specifically mentions Irish immigrants and their high mortality because of their socio-economic position and physical location along the river towns, and general weakened state from having traveled so far for so long. It certainly was rarely all sunshine and roses once they got here. So many of them just couldn’t catch a break. All that effort just to succumb to a mosquito bite. Aren’t you at least thrilled to see they’re planning to release 4 new stamps dedicated to cats? FOUR NEW STAMPS DEDICATED TO CATS. At long last, I can sleep soundly knowing cats are getting the recognition they deserve. I am sure they will all be delighted by the news. We should all take a moment out of our busy days to silently reflect upon the vital role that cats have had in the history of Irish civilization, as well as the contributions of Irish cats to international affairs. Damian, thank you for caring this concern over many years now. It is odd to me that in Ireland the US Civil War is little understood or talked about. For so many of the famine immigrants (my g-grandfather was one of them) joining the army was a way of not only survival but a ticket of admittance as a “real American.” It’s the same today – so many young and poor first generation immigrants fill our recruiting stations. We send them out to die, when they just want a decent chance at life. Do the Irish have issues with war and violence? Is that what’s going on? I remember the first time I came to Dublin (I travel there with some frequency), I was surprised that more hadn’t been done to honor the 1916 heroes. They seemed honored only in pubs, not in public plaques or monuments. There seemed to be a resistance to see them as heros. Is it because the “troubles” are too recent and too fresh to separate emotion from history? I think it’s worthwhile to keep pushing for more awareness of the role of the US Civil War in the lives of Ireland’s famine emigrants. They fought for many reasons, some simply for a job, for their own survival, some for political and moral reasons, but most, I believe, to show that they had value in this new country that didn’t particularly treat them with open arms when they arrived, poor and hungry. Not much has changed today – that’s what I wish Ireland could understand. It’s not about glorifying war – it’s about understanding and respect. Thanks, Damian. Your efforts mean a great deal. Thanks for your kind words I greatly appreciate them. I honestly believe it is a lack of awareness of emigrant history and the history of our diaspora. Irish history is viewed very much as of ‘Ireland’ rather than the ‘Irish’. There are small steps being taken to address this, but more needs to be done. It is interesting your experience re the remembrance of 1916, it is certainly comples- it tends to do pretty well on the scale of remembrance as does the War of Independence- actually I would say much other history can lose out because this period is understandably still in sharp focus given how recently it occurred. All we can do is keep raising awareness and I am confident that more and more people in Ireland will begin to embrace diaspora history! I’ve been thinking about this some more – I suppose awareness of diaspora history of any kind has to begin in schools. I’m remembering, just as an example, that when I was in high school, the Holocaust was given a few paragraphs in our history books. But when my four kids were in high school it was given a prominent place for weeks. And that makes an astounding difference in understanding. Well said, Damian, and don’t give up the fight because it’s worth the effort. The American Civil War is a significant part of Irish history that must be remembered. I’ve spent a lot of time researching my great-grandfather’s–a Famine immigrant–experiences as a soldier in a NY regiment. The number of Irish was overwhelming, and it was not an Irish regiment. They must not be forgotten.